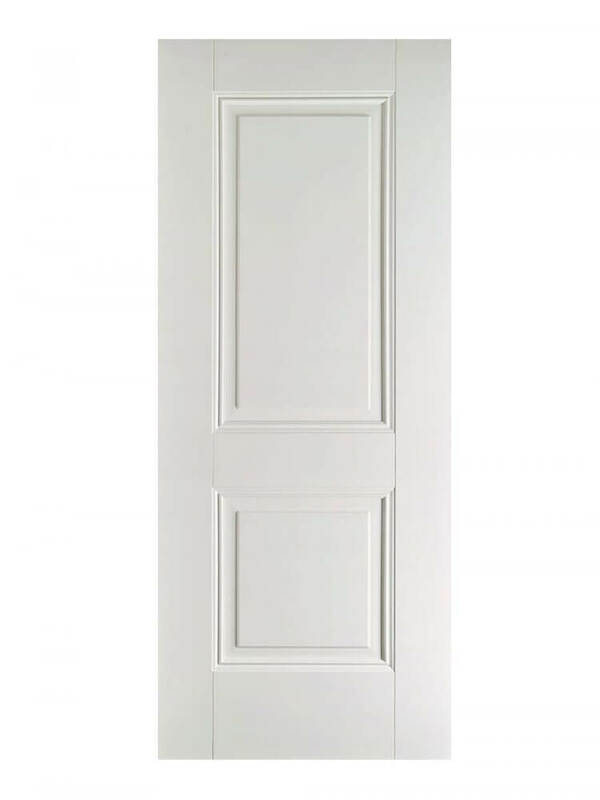 Two classic central panels, and bold mouldings. White Arnhem. 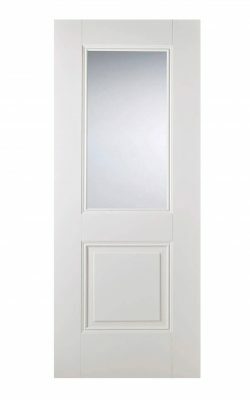 A sophisticated white door design formed by two panels, one larger and one smaller, surrounded by decorative beading.